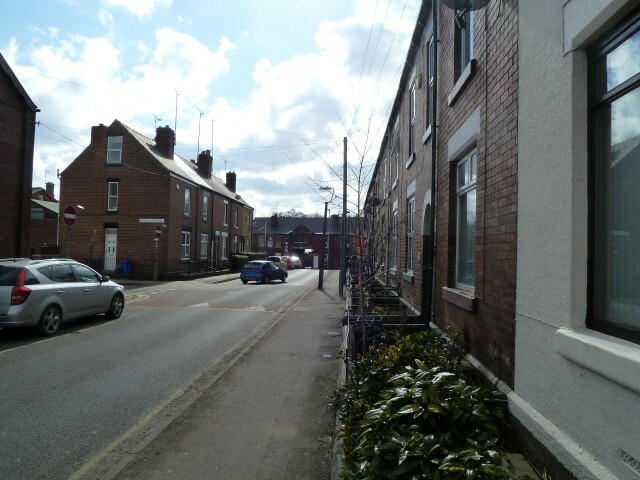 In Hillsborough, a suburb of Sheffield, a significant volume of motorised traffic uses a 20mph residential as a through route by design so that delays to motorised traffic is kept to a minimum. There are already some 20mph zones in Sheffield such as Taplin Road in Hillsborough. The local council is in the process of installing more of them around Sheffield. We want to reduce the speed limit to 20mph from 30mph in some residential areas in Sheffield. This will help us to reduce the number of accidents on our roads. Lower speeds will help make neighbourhoods a safer, more pleasant place for local people to live, particularly for our children and elderly. 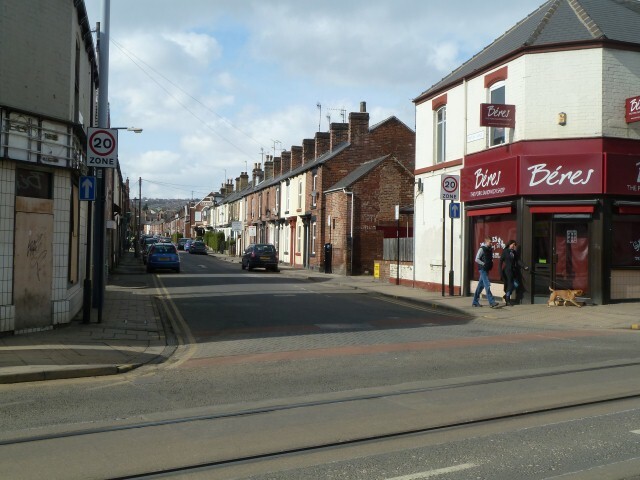 However, in reality the Taplin Road 20mph zone is used as a dumping ground for excess through traffic re-routed from Hillsborough Corner crossroads in order to keep traffic flowing smoothly. A lot of vehicle traffic heading out of Hillsborough will use the A61 Penistone Road. Most of this would ideally travel south along Middlewood Road towards Hillsborough Corner and then left onto Bradfield Road (as in the map below – the red area shows the 20mph speed limit zone). The actual route is shown in green, the prohibited route is shown in dashed red. However, the left turn onto Bradfield Road is not permitted because the phasing of the lights at Hillsborough Corner conflicts with a pedestrian crossing phase. 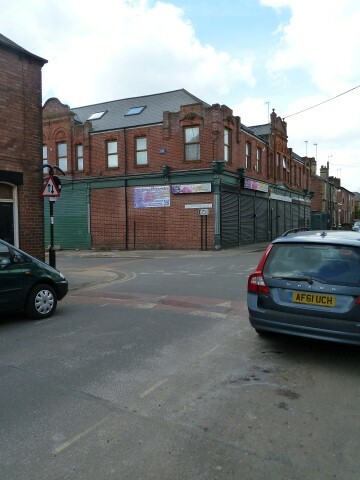 As a result drivers are directed into the residential area of Taplin Road and Hillsborough Place and then onto Holme Lane to approach Hillsborough Corner junction from a different direction. This diversion is through a 20mph zone in a residential area. Taplin Road and Hillsborough Place are both residential roads with on street parking, houses close to the road, narrow footpaths, children and plenty of families. Not the sort of place significant volumes of traffic should be directed! As a token gesture some traffic calming measures have been introduced. Can you spot them in the pictures? Some red surface and a brick moulded tar covering. Does this do anything to remind vehicles that pedestrians have priority when crossing? No. Perhaps a ‘speed table’ at junctions? It’s quite hard to see, because it’s such a half arsed measure. A Speed Table – Can you see it!? 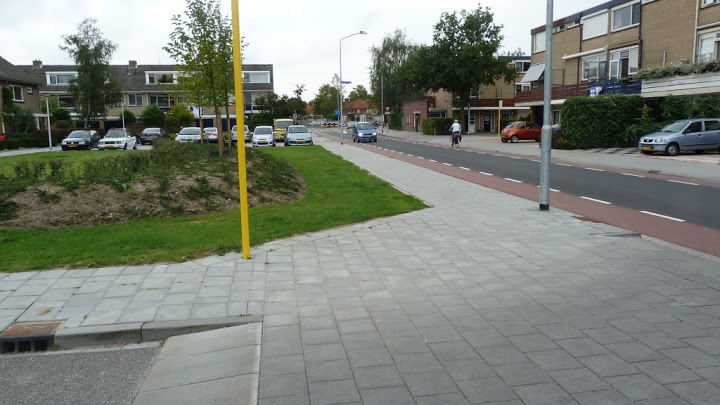 The Dutch approach for a junction from a major road to a residential road would have significant traffic calming measures. It would be clear that you’re entering a residential area where pedestrians have priority. This could all have been prevented if the Hillsborough Corner traffic light phase had been separated so the pedestrians could cross either before or after the green vehicle phase. So, why wasn’t this done? I suspect because it would introduce delay to vehicles at Hillsborough corner – Sheffield City Council never seem very keen on doing this! I believe this shows road design at its worst. To go to these lengths to remove any inconvenience/delay to vehicle traffic shows a significant disregard for the safety and well-being of the residents of Hillsborough. Traffic that adds no value to the local area is put ahead of the place in which we live. And that has to change. 20mph Zones are not the solution to through routes in residential areas. Removing the traffic is. This entry was posted in council on April 18, 2013 by Matt. 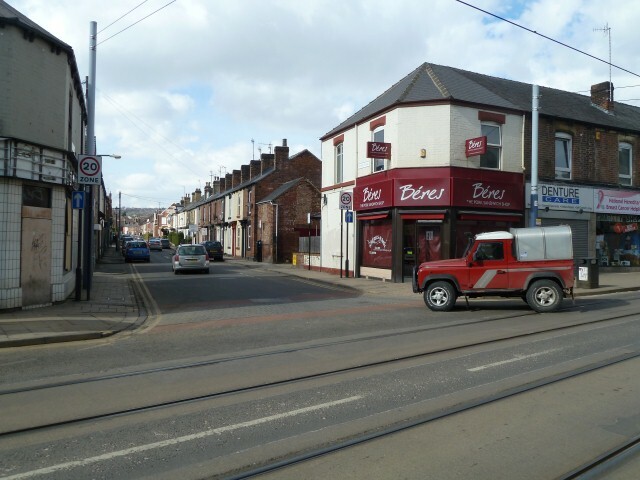 26th April 2013 – An 82 year old lady was run over at the junction featured in the top of this post. At the entrance to Taplin Road. Police are looking for the driver.